Restrictions: Offer valid 05/14/2013 4-8 pm. Valid only at participating Haagen-Dazs(R) Shop locations. Limit one free cone (4 oz portion) of ice cream, gelato, sorbet or frozen yogurt per customer. Cannot be combined with any other offer. 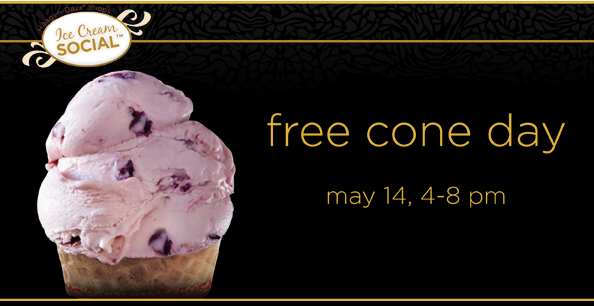 A sweet thank you to JR from Frugality is Free for sharing the Haagen-Dazs free ice cream day!